Located just 9 miles from downtown and 1/2 mile from Universal Studios, the La Quinta Inn Orlando - Universal offers an exceptional value for travelers in search of comfort and convenience. Wet 'n Wild, SeaWorld Orlando, and the Orange County Convention Center are all within 6 miles of the hotel. Our free Bright Side Breakfast is served each morning. Guests can also relax in the hotel's outdoor pool. Within walking distance of the hotel is the Universal City Walk where meal and theatre discount tickets are available at their Guest Services booth. Enjoy our shuttle service to/from Universal Studios, contact the hotel for more details; the I-Drive Trolley and public bus line, Lynx #21 also stops right in front of the hotel! 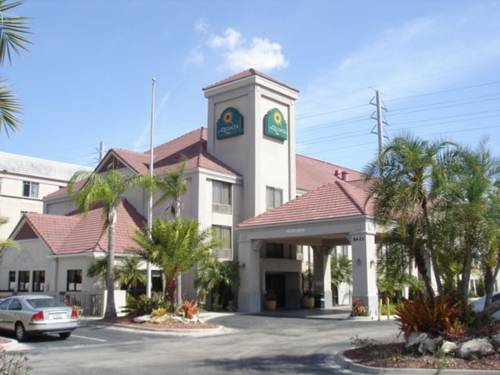 The La Quinta Inn Orlando - Universal Studios is located just 9 miles from downtown and 1/2 mile from Universal Studios. Wet 'n Wild, SeaWorld Orlando, and the Orange County Convention Center are all within 6 miles of the hotel. Universal Studios - 3 in 1 - Islands of Adventure, Universal Orlando, City Walk.